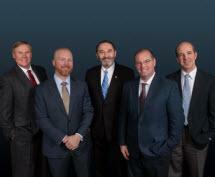 Rosenberg, Kirby, Cahill, Stankowitz & Richardson is a Toms River personal injury, workers compensation and criminal defense law firm serving clients throughout New Jersey. Our team of experienced litigators works with clients throughout the region in cases that challenge their personal and financial well-being. Since 1977, our firm has remained committed to upholding the rights of good people who need a fair shot at recovery. In some cases, this requires an aggressive and persistent approach to courtroom proceedings. In others, more cooperative and adept methods are used in negotiation of settlements. Our attorneys are uniquely qualified to take on sophisticated and challenging cases against even the toughest opposition. We thoroughly investigate the details of every case, working one-on-one with our clients to make sure their specific needs and goals are addressed. In personal injury and workers' compensation law, we address financial hardships and medical recovery in cases of motor vehicle accidents, premises liability, dog bites, repetitive motion injuries, construction accidents and other catastrophic injuries or wrongful death cases that have forever changed our clients' lives and the lives of their loved ones. In criminal defense, we effectively and favorably resolve cases in municipal, state and federal courts. Cases range from serious traffic offenses and DWIs to drug crimes and violent crimes. We truly care about our clients, and it shows in how we treat them. When you walk into our office, you may feel overwhelmed and frightened by the legal situation before you, but by speaking with an experienced and attentive lawyer at our firm, you will be able to see the light at the end of the tunnel. We always offer clear, concise and honest information to give our clients a firm grasp of the case and the decisions they must make. Contact our experienced lawyers at Rosenberg, Kirby, Cahill, Stankowitz & Richardson online or by telephone at 732-908-7239 (toll-free at 800-391-3195) to schedule a free initial consultation. Personal injury cases are handled on a contingency fee basis, meaning you pay nothing unless we effectively recover compensation in your case. 9-5 with later/earlier & weekend appointments available by request.